What is it like to be an overnight Internet sensation? Chicago beatboxer Yuri Lane knows all about it. His beatbox harmonica video, featuring his extraordinary talent, went viral on YouTube, garnering millions of hits and making him an instant star in cyberspace. Created with Sharif Ezzat and Rachel Havrelock, MeTube, Yuri’s new sixty minute multimedia beatbox show, reflects on this exhilarating and strange experience by turning virtual reality into theatrical fantasy. Yuri Lane is a world-renowned solo beatbox performer who combines beatbox, acting, mime and movement to tell a story. With his creative partner Sharif Ezzat and his wife Rachel Havrelock, Yuri created “From Tel Aviv to Ramallah,” a hip-hop play that tackles the Israeli-Palestinian conflict. “From Tel Aviv to Ramallah” had its world premiere at Theater J in Washington DC in 2003 where it was nominated for a Helen Hayes Award for best new play. The show enjoyed runs in New York, Chicago, San Francisco, Baltimore and Atlanta. It toured across the US at theaters, campuses and peace events. International venues include Helsinki, London and Jerusalem. Inspired by Yuri’s famous beatbox harmonica video, which garnered over 17 million views on YouTube, MeTube was previously seen in Chicago for two performances in partnership with the Chicago Humanities Festival as part of the Victory Gardens Fresh Squeezed Series. Click here to watch the videos behind the man. MeTube opens Saturday, March 17. Performances will run through April 8, 2012, Fridays and Saturdays at 8 p.m. and Sundays at 7 p.m. There will also be an industry night Monday, April 2 at 7 p.m. Tickets are $15-$20. A limited number of $9 student rush tickets are available one hour prior to curtain. To purchase tickets or for more information visit www.collaboraction.org or call 312.226.9633. Artist Bio: Yuri Lane was born on a small island in Holland. His parents, a painter and a violinist, soon moved to San Francisco's Haight-Ashbury district to ride the 70's counter-culture current. Raised in the Haight, Yuri learned rhythm by osmosis and began to breathe beats. In the 80's, Yuri started breakdancing and teaching moves at middle school parties. He discovered his true passion in a sixth grade math class where Yuri made sounds to compensate for his lack of skill in arithmetic. When his teacher ordered him to "turn off the radio," Yuri knew that he was on to something. Yuri spent his teenage years on stage at theaters like San Francisco’s American Conservatory Theater and Berkeley Repertory Theater while attending high school at the San Francisco School of the Arts. After finishing a theater degree at the Pacific Conservatory for the Performing Arts, Yuri returned to San Francisco to pursue mime, improvisation and alternative theatrical forms. 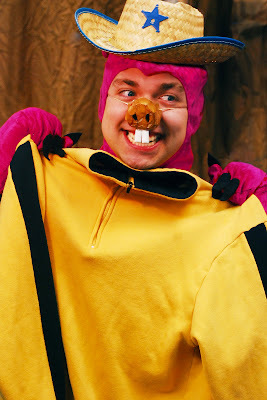 During the dot-com boom, Yuri found himself as "the geek" in several local and national commercials as well as in TV episodes. As San Francisco's boom went bust, Yuri returned to theater and began developing his one- man human beatbox musical, Soundtrack City. 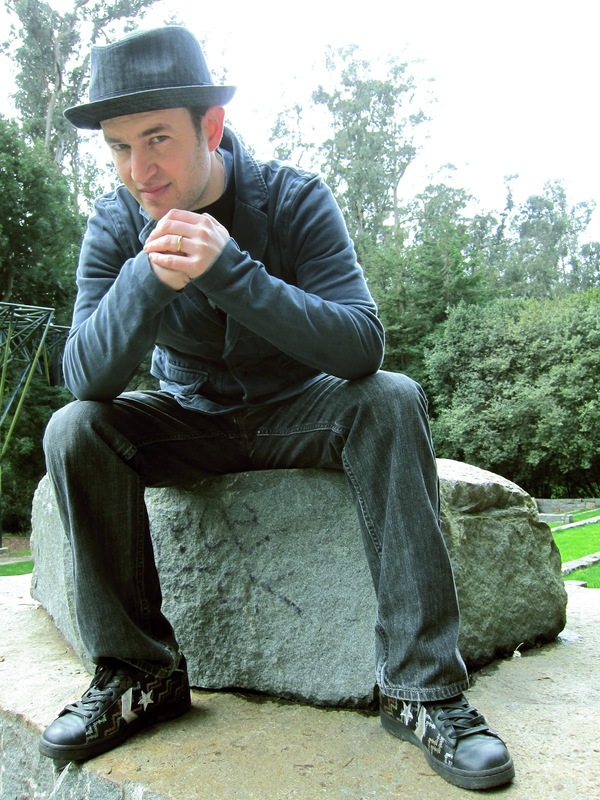 Yuri created Soundtrack City by performing one scene at a time at clubs, bars, coffee shops, and small theaters of San Francisco. The full- length production of Soundtrack City debuted in November 2001, with runs in San Francisco and New York in 2002 and a run in Chicago in 2005. Soundtrack City chronicled the transformation of urban neighborhoods during gentrification. With his partner Sharif Ezzat and his wife Rachel Havrelock, Yuri created “the coolly extraordinary” From Tel Aviv to Ramallah, a hip-hop play that tackles the Israeli-Palestinian conflict.1 From Tel Aviv to Ramallah steers clear of ideology in order to show the daily lives of young people during the Second Intifada. From Tel Aviv to Ramallah had its world premiere at Theater J in Washington DC in 2003, where it was nominated for a Helen Hayes Award for best new play. The show enjoyed runs in New York, Chicago, San Francisco, Baltimore and Atlanta. It toured across the US at theaters, campuses, and peace events. International venues include Helsinki, London and Jerusalem. Preview Performances: Saturday March 17 at 1 p.m. and Sunday, March 18 at 11 a.m. New Stories Come Alive! Hour Workshops Every Sunday During the Run Lifeline Theatre’s KidSeries presents a world premiere musical adaptation of Naked Mole Rat Gets Dressed, based on the book by New York Times bestselling author Mo Willems (Knuffle Bunny: A Cautionary Tale, Don’t Let the Pigeon Drive the Bus!). The production is adapted by Lifeline Theatre ensemble member Robert Kauzlaric (two-time Non-Equity Jeff Award-winning adaptor), with music by Paul Gilvary, and directed by Lifeline Theatre ensemble member Paul S. Homquist (Non-Equity Jeff Award nominated director). Unlike other naked mole rats, young Wilbur loves to wear clothes. By daring to defy social tradition, Wilbur makes life miserable for himself and his best friend. When the teasing and bullying at school get out of control, the pups take their case before Grand-pah: the greatest, wisest, and most naked naked mole rat ever. Will Grand-pah crush Wilbur’s self-expression, or open the door of acceptance to a misunderstood outsider? A heartwarming lesson on tolerance, in a world premiere musical adaptation for the whole family. This production is appropriate for children ages five and up, and runs approximately one hour with no intermission. The book will be on sale in the lobby. You won't want to miss Toys Take Over this Sunday March 18th and 12:00 pm and 4:00 pm. 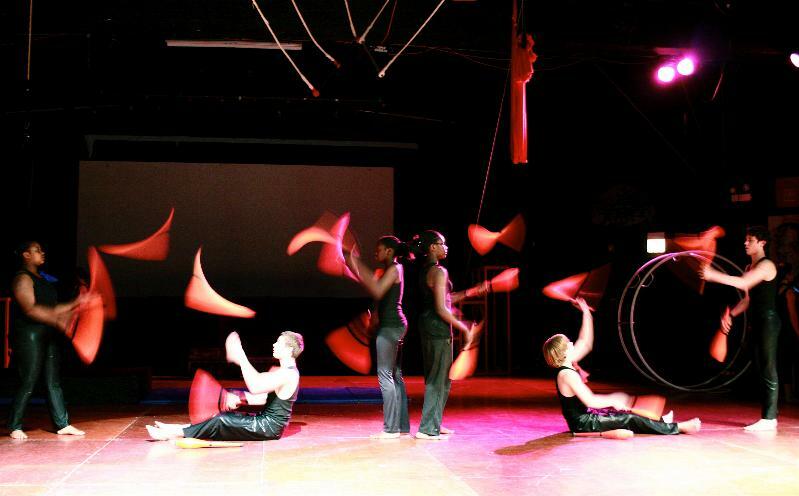 Toys Take Over is the third annual youth created, directed, and produced circus show presented by the CircusTeens. These young performers are part of CircEsteem's youth employment in the arts program that hires the most talented and skilled teens to teach, perform and mentor younger students. Collectively, they have performed hundreds of shows throughout the United States, Germany and Switzerland. Tickets are $10 for adults and $7 for kids and all of the profit will go directly to the performers. The CircusTeens are also collecting new toys to give to less fortunate kids right here in Chicago. 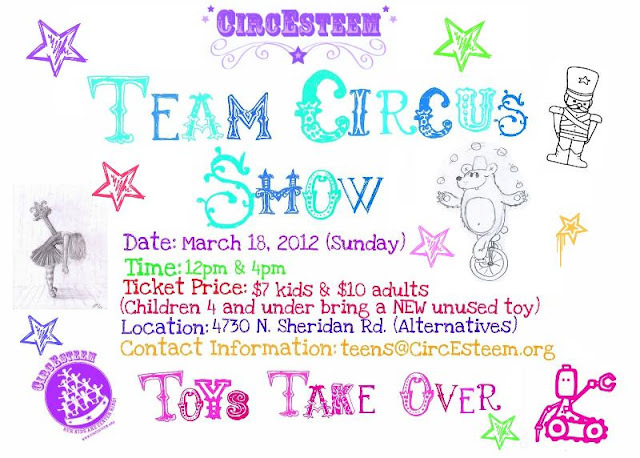 Can't make it to the show but still want to support CircEsteem's teen performers? Forward this email to a friend or share it on Facebook. 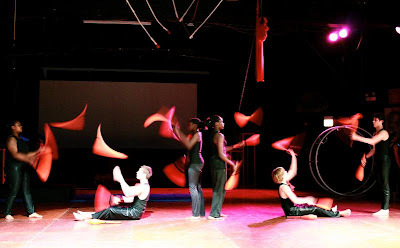 Don't miss this great opportunity to support local, grassroots, youth created social circus in action. For more information, check out CircEsteem's main site, right here.